Food is the topic for this week&apos;s find. 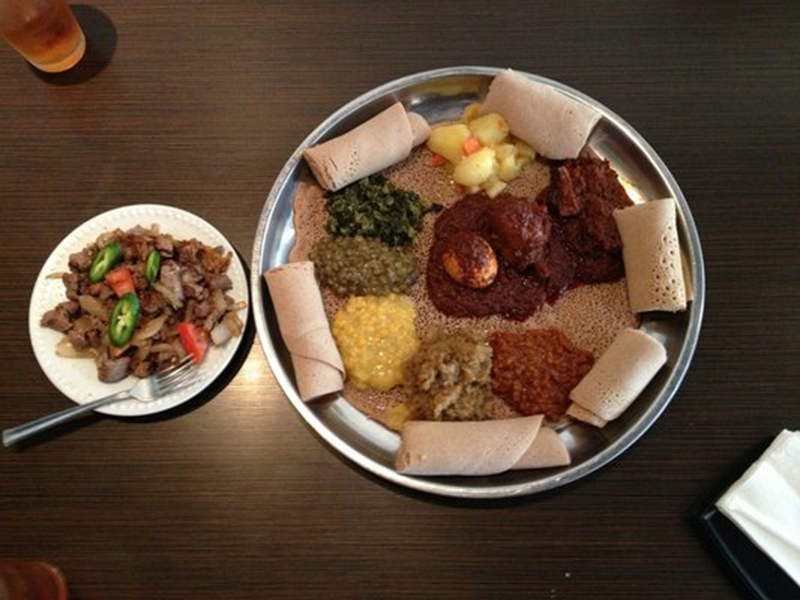 Take a closer look at Andre&apos;s and Overland Park&apos;s ethnic cuisine. 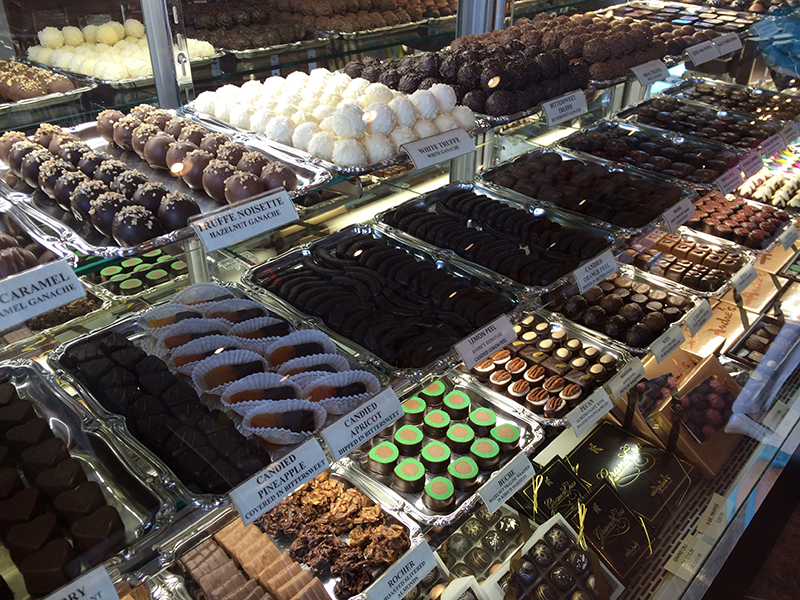 André&apos;s Confiserie Suisse has been a favorite local destination since Swiss immigrants André and Elsbeth Bollier opened their business in October 1955 in Kansas City, Missouri. André, a Master Konditor-Confiseur, wanted to bring a typical Swiss Confiserie to the area - and residents and visitors alike are so glad he did. This outpost - situated in Hawthorne Plaza - is stocked with the same mouthwatering treats as its original location. If you can tear your eyes (and stomach) away from the sumptuous sweets selection (truffles and caramels and chocolate bars, oh my! ), plan to enjoy an authentic Swiss lunch in André&apos;s modern tearoom. Quiche Lorraine and cheese pie are served daily, along with a rotating selection of traditional Swiss entrees and coffee, tea and pastries are served before and after lunch service. Tip: Just don&apos;t forget to take plenty of chocolate home with you. It&apos;s your choice if you want to share! One of the best parts of traveling is experiencing the local cuisine. We hope you&apos;ve brought your appetite, because Overland Park&apos;s restaurant scene is as varied as it is delicious. Sample ethnic dishes at places like ChoSun Korean Barbecue, Elsa&apos;s (Ethiopian), El Porton Cafe (South American) or The Basha (Mediterranean). The Mixx is a favorite for freshly prepared salads (you can create your own, too), sandwiches and smoothies. Savor the catch of the day at Newport Grill, or enjoy authentic Neapolitan pizza - no passport required - at SPIN! Neapolitan Pizza. Don&apos;t forget about Kansas City&apos;s signature cuisine, barbecue, available throughout Overland Park. Grab some extra napkins and try Fiorella&apos;s Jack Stack Barbecue (get the smokehouse reuben) or Jon Russell&apos;s Barbeque (competition barbeque served daily). Tip: Once you&apos;re home and craving KC &apos;cue, it&apos;s easy as a click online to have Jack Stack&apos;s acclaimed ribs, brisket, burnt ends and more shipped right to your door. Written by Katy Schamberger What restaurants have you tried?